Hi, guys today we are going to make a DIY on creating Speed Test Server. All of us are familiar with Speedtest.net – which is used to test Broadband Speed. 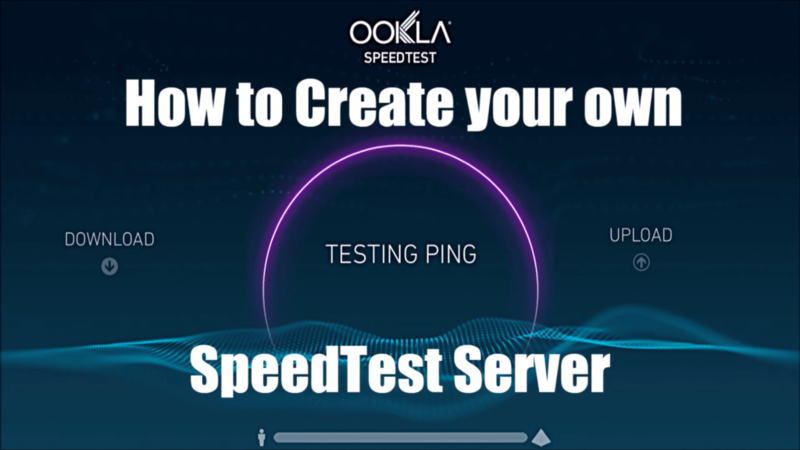 From this tutorial, you can create your own Speed Test Server which can be hosted in any web server or in any Online Hosting Server. SpeedTest.net released ” SpeedTest Mini ” a speed testing application which is used to test Broadband speed, The same functionality like SpeedTest.net. The application is available for free and it’s compatible with all major web servers out there. What it actually does is it measures the HTTP request to a selected server and measures the time until it gets a response. For detecting upload and download speeds, it downloads small binary files from the web server to the client and then it uploads the same file to web server form client and measures the speed according to it. Before creating Speed Test Server just check whether you’re using for testing or development purposes or for any commercial use. They’ve listed that it should not be used for commercial use, or in any commercial websites. They also mentioned that this server code ” mini.zip ” archive file is not updated with any changes or fixes. Officially they’re saying we’re not going to support it, So we have to decide whether to use it or not. Extract the downloaded file. By extracting the downloaded file you’ll get a folder named ” mini ” with lots of PHP files in it. Now you’ve to upload the complete ” mini ” folder to our hosting server. In this tutorial, I’m using Godaddy as my Hosting Service Provider. Here Domain.com means whatever URL you’ve assigned to your Hosting server. Now before testing our server, we need to make some minor modifications. Open “mini” folder and then you’ll find a file named “index-php.html”. Rename that to “index.html” and you’re good to go. Finally open the URL: www.domain.com/speedtest/mini and enjoy your own Speed Test Server. This Speedtest Mini server is designed by Ookla which can be hosted in any web server that supports PHP, ASP.NET, ASP or JSP. Ookla is offering this Mini server for free and they’re not supporting it further. If there’s any future update we can to manually download it from their site and upload it again on our hosting to enjoy the latest updates of the server. This mini server is not intended to replace original from their perspective and Ookla claims that the speeds might differ when compared to the original. Yeah, you can monetize the script Because it’s hosted on your own domain. So there won’t be any problem. Speedtest Mini is discountinued, Unfortunately! I’ll look for an alternative and will upgrade asap. Hello. Have you found any alternative by any chance? Unfortunately, Not yet. We’ll update if found any.